Zenith Bank Plc ‘Best Institution in Sustainability Reporting in Africa’ for the second consecutive year. 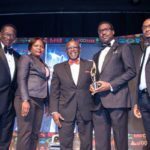 Zenith Bank Plc has emerged as the ‘Best Institution in Sustainability Reporting in Africa’ for the second consecutive year. The bank won the award at this year’s Sustainability, Enterprise and Responsibility Awards (SERAS) held on Saturday, December 1, 2018 at the Muson Centre, Onikan, Lagos in recognition of the publication of its 2017 Sustainability Report. Zenith Bank’s 2017 Sustainability Report titled ‘Sustaining the Strong Momentum’ is written in accordance with the new Global Reporting Initiative (GRI) Standards. The new Standards is designed to replace the older GRI G4 reporting guidelines and was unveiled in October 2016 by the Global Sustainability Standards Board (GSSB). The time frame set by the GSSB for institutions to comply with the new Standards is July 2018. 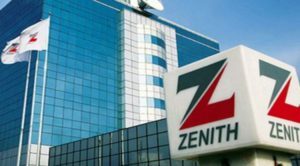 Zenith Bank however used the GRI Standards for its 2016 Sustainability report, thereby emerging as one of the first institutions in the world to have mastered and adopted the new Standards one year ahead of schedule. 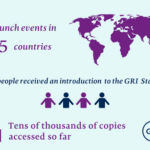 As shown in the reporting database of the GRI, about 545 reports and 480 companies out of the over 50,000 reports by over 13,000 organizations that are hosted on that database have so far adopted the new GRI Standards worldwide. Zenith Bank is one of these exceptional organizations and is among the first 100 global early birds. Sustainability reporting provides a great tool for measuring progress in the adoption of sustainable business principles. 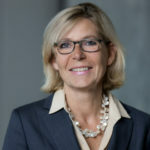 These principles require organizations to adopt responsible environmental and social policies and practices, in line with the UN Sustainable Development Goals, the Nigerian Sustainable Banking Principles, the International Finance Corporation (IFC) Performance Standards, and the United Nations Global Compact (UNGC) Sustainability principles, among others. Sustainability reporting compels transparency, accountability and good corporate governance. It is also a major self-assessment tool that enables reporting institutions to see the gaps in their sustainability implementation with a view to closing them. This is why reporting has become a key performance indicator, especially among leading global brands. As a responsible corporate citizen, Zenith Bank takes seriously, its environmental and social responsibilities in all the communities where it operates. And reporting progress in the adoption of these best practices to stakeholders, is also a major corporate responsibility.